The Management and Staff of Kwara State Internal Revenue Service (KW-IRS) commiserate with the people of Patigi in Patigi Local Government Area of Kwara State as well as the entire Kwara State Traditional Council over the demise of The Emir of Patigi, HRH Alhaji Ibrahim Chatta Umar who was also the Vice-Chairman of Kwara State Traditional Council. This is a colossal loss as his Highness was considered the Father of the people, and during his reign, he developed a profound connection with his subjects. He displayed obvious care to all his subjects, and took action to make their lives better. 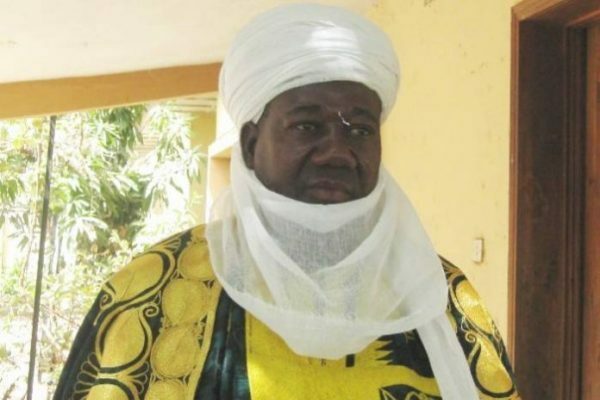 May Almighty Allah grant the people of Patigi, Kwarans and the Emir of Ilorin, Alhaji (Dr) Ibrahim Zulu Gambari and the Kwara State Traditional Council at large the fortitude to bear the loss. Following the intrusion of the members of National Association of Kwara State Students (NAKSS) into the Corporate Head Office of the Service on the 1st of March, 2019, which led to partial shutdown of activities, the management of the Kwara State Internal Revenue Service decided to hold a press conference to clear the air on some misinformation and to express our displeasure over the unruly behavior. The students were protesting suspension of payment of student bursary by the Kwara State Scholarship Board across several tertiary institutions in the state contrary to fabricated reports that they were protesting mismanagement of resources by the service. 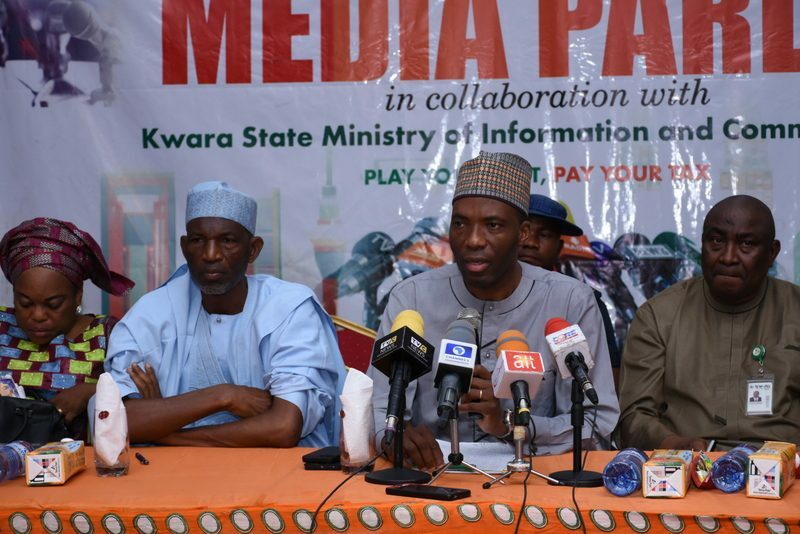 The service invited various media houses for a press conference that same afternoon on Friday the 1st of March, 2019 to address the incident and call the attention of all residents and citizens of Kwara State to the treacherous development concocted by some group of people in the state in the last few days trying to turn the service into a political target. Categorically, Kwara State Internal Revenue Service (KW-IRS) is an agency of the Government established by law and saddled with the sole responsibility of generating revenue for the strategic development of Kwara State. This revenue is collected via several banks and remitted into the state’s Treasury Single Account (TSA) at the end of every month. The Service has no access to the TSA of the State Government and is not responsible for spending revenue generated. The Ministry of Finance and the Office of the Accountant-General are responsible for disbursement of funds to all other ministries, agencies and parastatals in the state including the Kwara State Scholarship Board. We therefore urge the parties involved to direct their complaints to the appropriate authority or agency. Contrary to other previous reports, we re-iterate that we have all our documents and files in place as against the false report circulated on various social media accounts that files and documents are missing from the service upon resumption right after the Presidential elections. We urge members of the public to disregard this unverified and baseless information as our offices were closed from Friday the 22nd of February till Sunday the 24th of February 2019. 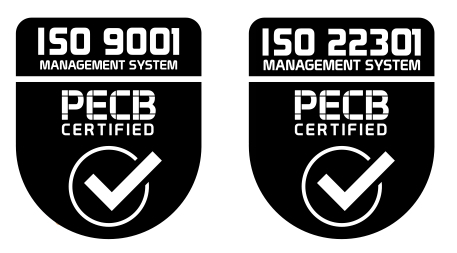 KW-IRS was the first state revenue service in the country to become ISO certified in both the Quality Management System (ISO 9001:2015) and Business Continuity Management System (ISO 22301:2012) and the main purpose of the latter is to ensure all documents and files within the service are securely backed up and available for retrieval in the event of a disruptive incident like fire, theft or natural disaster. Therefore it is not possible for any document or file to be removed completely from the service as it will have a backup copy in an offsite location. It has been discovered that those rumors and actions are politically motivated and instigated. We therefore enjoin all political parties in the state to desist from spreading fake news and try to confirm the authenticity of the information before disseminating it to the public or their supporters so as not to tarnish the good image of the agency and Kwara State. The Kwara State Internal Revenue Service has performed incredibly well over the past three years setting itself as a trail blazer and model to be followed by other states after moving the state from 27th to 5th in the country in terms of IGR per capita performance and is fully committed to the continued development of Kwara State. The service also runs an open door policy and welcomes any party who has any inquiry to schedule a visit to our offices. It has been brought to the notice of the Kwara State Internal Revenue Service (KW-IRS) the false information being circulated on social media claiming that files were missing upon resumption on Monday 25th February, 2019. Contrary to the false report, No staff of the Service or any other Government officials were present at the office premises during the weekend to perform any tasks. The Service resumed office on Monday 25th February, 2019 and its staff and activities were welcomed with its usual calm and serene ambiance with its properties, including ALL documents intact. It is noteworthy that KW-IRS has always been very transparent about the revenue collected and its activities, with such information always available publicly on its website and through regular media parley with media correspondents for the dissemination of information to the residents of Kwara. The Service beyond revenue mobilization has also provided information on the utilisation of Internally Generated Revenue (IGR) on several occasions. Please note that all revenues are collected directly into State Government accounts, and KW-IRS does not have mandate to access any of those accounts. KW-IRS condemns the creator and disseminator of false information and finds the behaviour malicious, mischievous and ignorant. The Service enjoins all to be vigilant and always verify information from relevant and authorised quarters. The Kwara State Internal Revenue Service (KW-IRS) assures the residents of Kwara of its unwavering commitment to the mobilisation of revenue for the development of Kwara while positively impacting in the lives of the people. 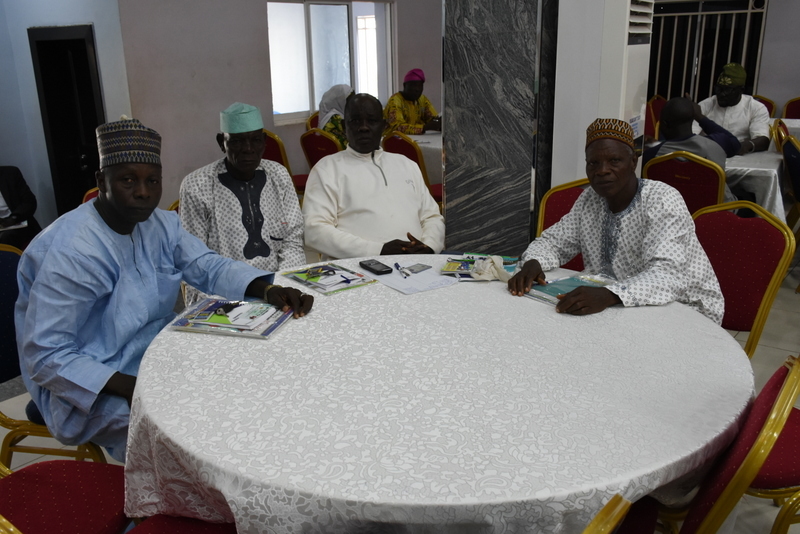 As part of the activities marking 2018 end of the year of Kwara State Internal Revenue Service (KW-IRS) held on 29th January 2019 at Whitefield Hotels, Ilorin, the Service played host to the members of the Kwara State Correspondents chapel to appreciate the fourth realm of government for their objective reporting of the Service’s programs in 2018. 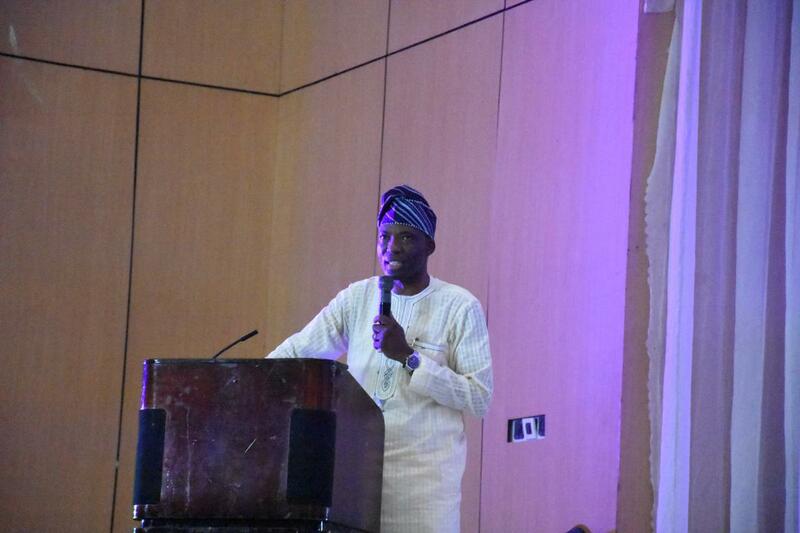 In his address, the Executive Chairman of Kwara State Internal Revenue Service, (KW-IRS), Prof Muritala Awodun stated that the motive behind the end of the year Media Parley is an opportunity to celebrate with journalists toward their corporation and fair reporting in 2018 and also to give a cumulative report to the general public on the Internally Generated Revenue (IGR) collected for the year 2018. Prof. Awodun said the achievement of KW-IRS can be attributed to the Executive Governor of Kwara State, Dr Abdulfatah Ahmed who reformed the Service by the enactment of Kwara State Revenue Administration Law No. 6 of 22 June 2016. He shared that the purpose of the reform was to introduce efficiency and technology into the process of revenue drive, collection and appropriate remittance to the Government. Professor Awodun gave a breakdown of the N23 Billion generated in 2018 and pointed out that there is a significant increase in Internally Generated Revenue (IGR) compared to N7.2 Billion, N17.4 Billion and N19.6 Billion recorded in 2015, 2016 and 2017 respectively. He added that KW-IRS is the first Revenue Agency in Nigeria to be ISO Certified for Business Continuity Management System (22301:2012) and Quality Management System (9001:2015). He said that the process operating in KW-IRS is of international standard that can stand the test of time. In the area of giving back to the Society, Professor Awodun reiterated that the Community Impact Program (CIP) centred on 5 E’s: Employment, Environment, Education, Enterprise, and Empowerment to ensure that the taxes collected are judiciously utilized. He added that over 723 people are directly employed by the Service while over 2,000 are indirectly engaged with the Service. He informed journalists that the ongoing property enumeration is being carried out by the Service to gather data and afterward demand notices will be issued and taxpayers are expected to comply within the stipulated time. He added that assessment is done to gather detailed information for the service to use to calculate the tax payable while companies and businesses that refuse to comply within the stipulated period are subjected to Best of Judgement (BOJ) as provided by law. 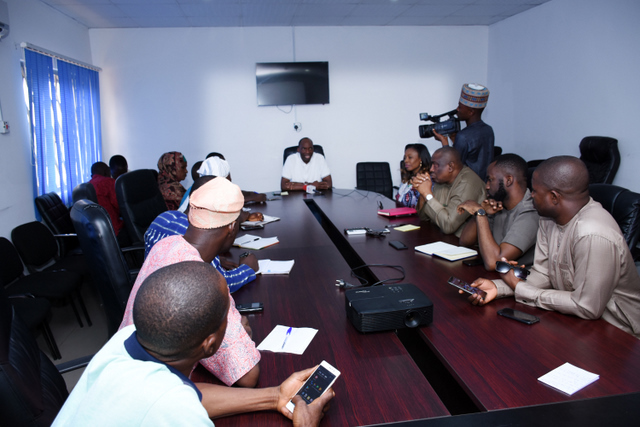 While answering questions from journalists, the Kwara revenue don revealed that the Kwara State House of Assembly has set a target of N33 Billion for 2019, the Service will focus more on Community Impact Project (CIP) in 2019. “With the Infrastructure Fund Kwara (IFK), residents of Kwara State resident will enjoy the impacts of the government which will be funded by taxpayers’ money” he added. Earlier in his opening remarks, the Commissioner of the Ministry Of Information and Communication, Alhaji Muhammed Sabi stated that the Press should be held in high esteem and the need to have an interactive forum such as the media parley cannot be overemphasized. 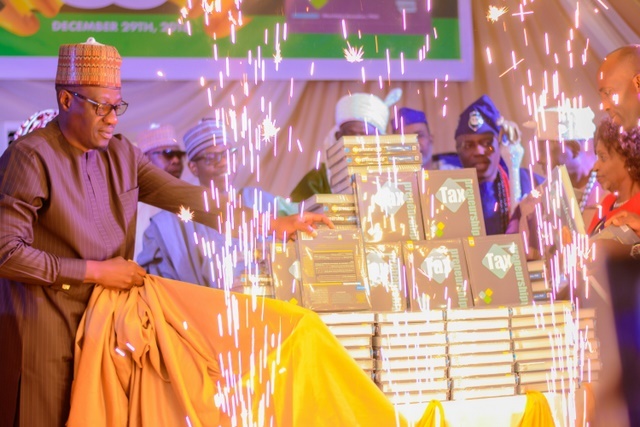 He added that the gathering is a celebration of success recorded by the Service over the years and commended the efforts of KW-IRS for having capable hands in the revenue drive for the development of Kwara State and it is obvious that the State has embarked on the right direction and the higher the State is able to raise IGR, the easier and quicker it will be to meet statutory responsibilities. The event was in collaboration with the Kwara State Ministry of Information and Communication (MOIC) had in attendance the Executive Chairman KW-IRS, Prof Muritala Awodun, Directors of KW-IRS, and representatives of various media outfits which includes; National Moonlight, Thisday, Herald, National Pilot, AIT Ilorin, Guardian, Harmony FM, Director of Information Services, Mrs Olufunke Oludipe, and the Director of Public Orientation, Alhaji Abdulfatah Dankazeem. The Executive Chairman of Kwara State Internal Revenue Service (KW-IRS) Prof Muritala Awodun has described the Service as the most transparent government agency in Nigeria because KW-IRS demonstrated a high level of integrity in service delivery since inception. Prof Awodun made this statement while answering questions from taxpayers at a workshop organized for corporate organizations and organized private sector in Kwara State on Pay As You Earn (PAYE) operation and other statutory deductions due to State Government held at Kwara Hotels, Ilorin on Thursday 24th of January 2019. He added that the Service was recently certified by the International Organization of Standardization (ISO) which assures that KW-IRS processes have abided by the international best practices. 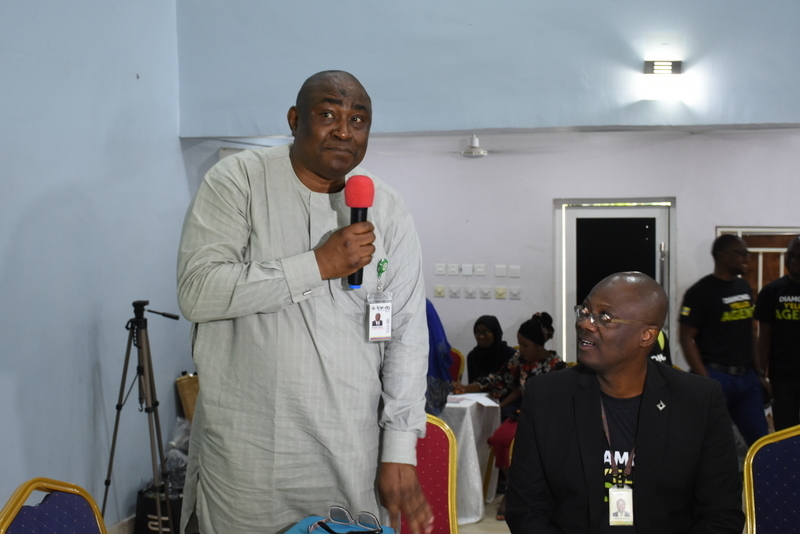 He said for the Service to have undergone the scrutiny of ISO was a way to prove that the processes and procedures of the Service are transparent, hitherto making KW-IRS as the first and only State Internal Revenue Service to be ISO certified. Prof Awodun noted that apart from the quarterly media parley and radio programs, the revenues collected are always available on the Service’s website, publications and the 2018 Financial Report will soon be ready for the people to access. In his presentation, the guideline on PAYE operation and rendition of statutory returns, the Head of Tax Assessment, Mr Sunday Samuel Agbana explained that Without prejudice to paragraph 21 of PAYE regulation and any other provisions, any employer that fails to register formally with RTA shall be liable on conviction to payment of fine in the sum of N25, 000 in addition to arrear of tax due. He added that, a notice of direction to operate PAYE scheme shall be in writing addressed to the directed employer or be published in Gazette. In the said letter, the emolument of employee(s) shall be specified and the amount of income tax to be deducted whether by reference to e-TDS (Electronic Tax Deduction Sheet) issued by Relevant Tax Authority or otherwise (soft copy) S.81 (5) of PITA. Similarly, the Head of Tax Audit, Alhaji Umar Alege made his presentation on expectations of tax audit department from directed employers in Kwara State in 2019 and beyond. He emphasized on section 70 (4) of Personal Income Tax Act,2011 as amended, that Withholding taxes on individuals and enterprises deducted are payable to the relevant tax authority. In the case of individuals and enterprises in Kwara State, it will be paid to Kwara State Internal Revenue Service (KWIRS) while in the case of companies it will be remitted to Federal Inland Revenue Service. Also, the Director of Corporate, Alhaji Nuhu Olaide Muhammed enlightened the participants on remittance and rendition of returns under PAYE scheme. He urged taxpayers to make use of the Service’s online platform in rendering tax returns. It was a joyous moment for a man of honour, intellectual and amiable character, the number one citizen of Kwara State, Alhaji Dr Abdulfatah Ahmed when dignitaries and the entire Board, Management and Staff of Kwara State Internal Revenue Service (KW-IRS), turned out en mass to celebrate the 55th birthday of the Executive Governor on Saturday 29th December 2018 at M&M Event Center, Offa Road, Ilorin. 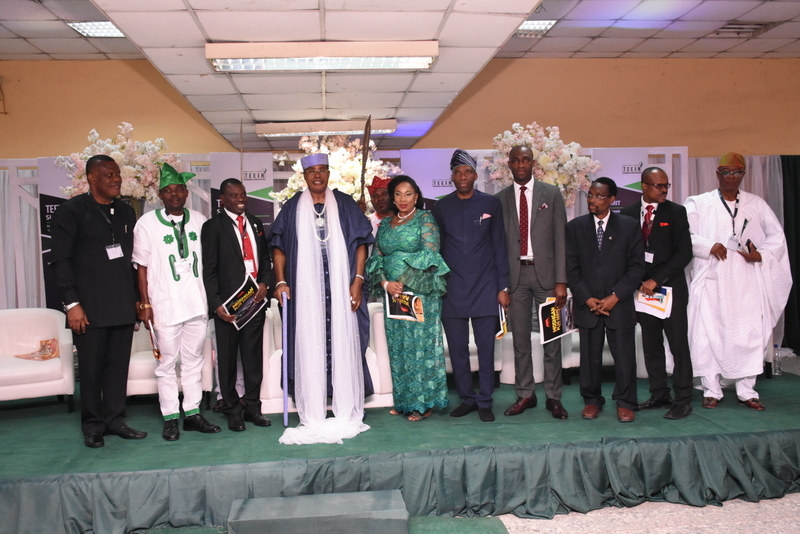 The historic event was coupled with a book presentation titled ‘Taxpreneurship’ written by the Executive Chairman, Kwara State Internal Revenue Service (KW-IRS) Dr Muritala Awodun to celebrate the establishment and achievement of the Service attributed to the Executive Governor’s revenue reform in the State in 2015. Speaking at the event, Governor Ahmed appreciated the gesture of Dr Muritala Awodun to make his birthday a remarkable and a memorable one describing KW-IRS a ‘Child of Necessity’ that was entrusted in the hands of the Staff of the Service led by Dr Muritala Awodun to change the face of revenue mobilization in the State. Revamping the Revenue Mobilization in the State had brought rapid development to the state, enthused Dr Ahmed. He said KW-IRS performance is overwhelming and worthy of emulation by other State Revenue Services in Nigeria. In his address, the Executive Chairman KW-IRS appreciated the Governor for giving the Service the enabling law, tools and environment to carry out the enormous assignment to ensure the residents of Kwara State enjoy the dividend of democracy. The occasion was attended by several timbre and caliber across the State including the Honorable Speaker, Kwara State House of Assemble, Dr Ali Ahmad, Commissioners of the State, Heads of Ministries, Chairmen of Local Governments, Traditional rulers, financial institutions, Captains of industries amongst others. The book was reviewed by Prof Abiola Sanni from University of Lagos and presented by Prof (Mrs) Teju Somorin. 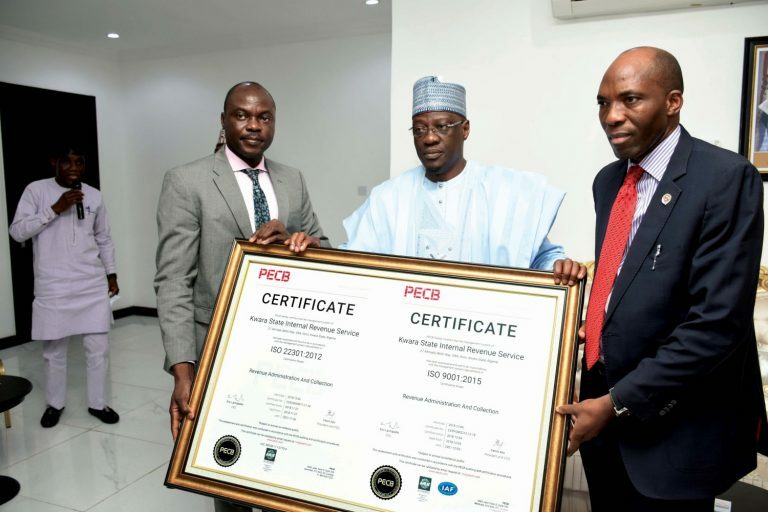 The Kwara State Internal Revenue Service (KW-IRS) has become the first State Internal Revenue Service (SIRS) to receive certifications of the International Organisation for Standardisation (ISO) for ISO 9001: 2015 Quality Management System and ISO/IEC 22301: 2012 Business Continuity Management System. The Quality Management Standard (QMS) certification implies that the Service has implemented standards through processes that demonstrate commitment towards continual improvements in the areas of customer satisfaction, productivity, efficiency, and resource optimisation among others. The Business Continuity Management System (BCMS) certification represents that the Service has met requirements which would enable it to be resilient, secured towards disruptions and incidents as well as inside and outside threats. BCMS also implies that KW-IRS is committed to ensuring there is quick recovery in the event of business disruption through identification of potential risks and planning of contingencies. The Service had embarked on the Certifications having recognised that while there had been significant growth, there was also more desired to be achieved. The Service which was in its 3rd year of operations had to put in place standardised processes for growth and sustainability. The Certifications ensures all interested parties including external and internal stakeholders are taken into cognisance in all its activities and ensures all necessary statutory and regulatory requirements are met. The two (2) Certificates were publicly presented to His Excellency, the Executive Governor of Kwara State and the Management Team of the Kwara State Internal Revenue Service which was led by the Executive Chairman, Dr Muritala Awodun on the 19th of December 2018 at the Government House. The certificates were presented by Tenol Alpha, an affiliate of the certification body, Professional Evaluation and Certification Board (PECB), Canada. 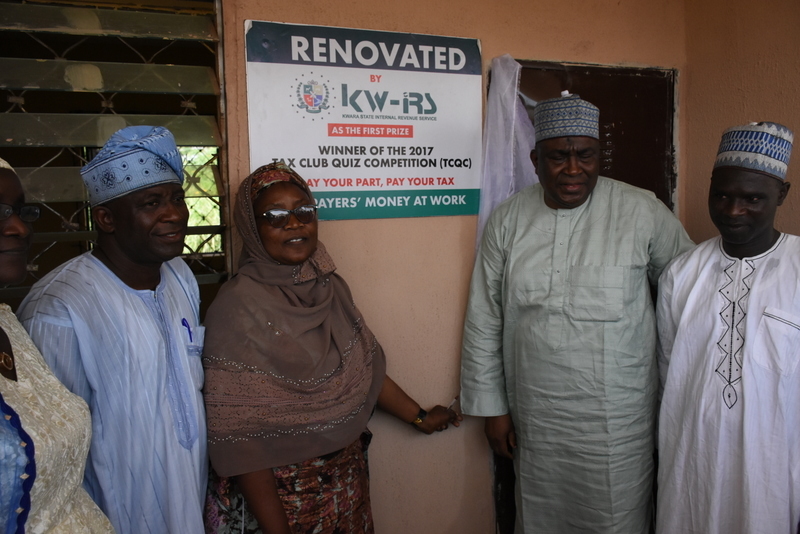 Speaking at the event, the Executive Governor of Kwara State, Alhaji (Dr) Abdulfatah Ahmed said KW-IRS had come to change the face of revenue generation with a target to achieve the desired development. He revealed that he always had the desire to show the nexus between revenue generation, development, and tax application and KW-IRS had achieved giant strides in this respect. Governor Ahmed opined that the growth witnessed in the revenue generation was largely influenced by putting in place the reform model of People, Process and Technology (PPT). This he said had moved the State to one of the best and most efficient SIRS deemed worthy of emulation by many others. 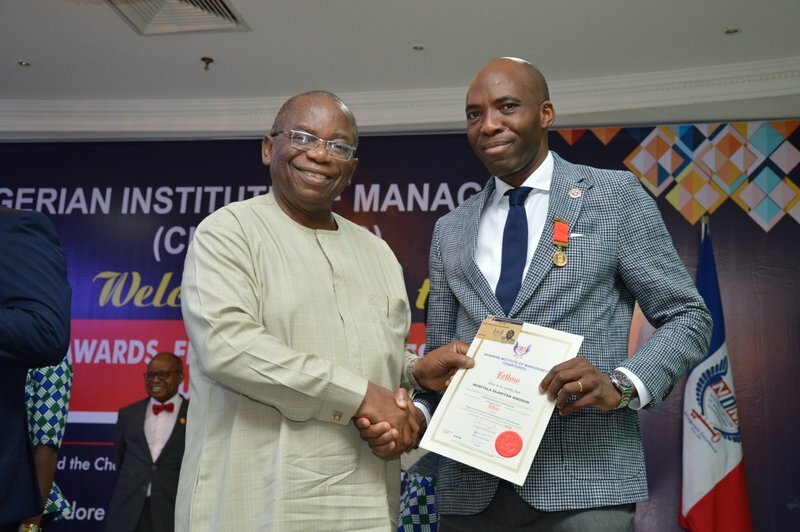 His Excellency said the ISO Certifications capped other other achieved feats which served as evidence that his Administration not only initiated the right institution but also selected the right people. He stated that the Service had proven to be efficient under the leadership of Dr Muritala Awodun as the pioneer Executive Chairman. He added that he was especially proud because he understood the tough job driving change constitutes and even how more difficult it could be for a public sector organisation. 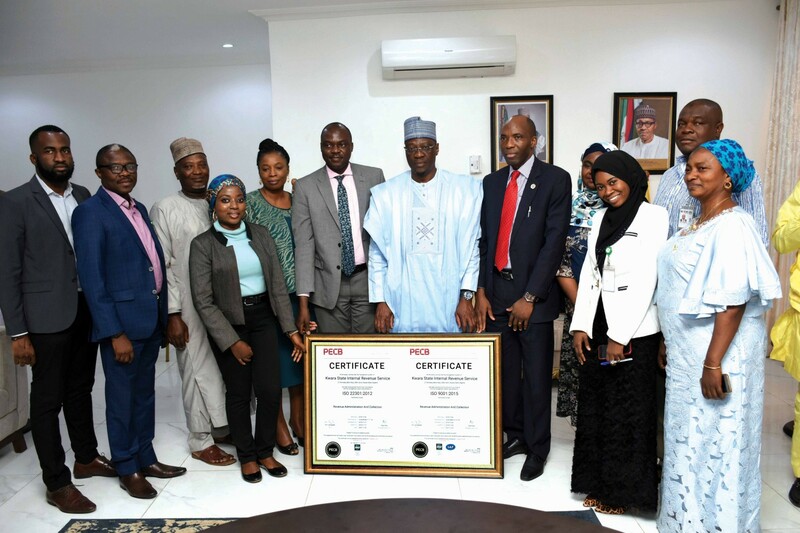 The Executive Governor of Kwara State said with the ISO 9001: 2015 QMS and ISO 22301: 2012 BCMS ISO Certifications, the Management and Staff of the Service had not only done KW-IRS proud, not only done Kwara proud but had also done Nigeria proud. He congratulated the Executive Chairman and all staff of the Service on the world class achievement. The increase of unemployment in Nigeria is alarming despite the efforts of the government to ensure its citizens are gainfully employed. According to a recent release by the Nigeria Bureau of Statistics (NBS), the unemployment rate of Nigeria has increased from 14.2% to 18.8% in the third quarter of 2017 which had been the bane of national development. It is evident that the white and blue collar jobs are not available for a large number of graduates from Nigerian institutions. This has made the Federal Government encourage youths to acquire skills in order to be self employed. These skills include: vocational skills such as fashion designing, shoe making, interior decoration, etc. One of the aspects of entrepreneurship that has not been fully explored is “Digital Entrepreneurship”. This represents a joining of traditional entrepreneurship with an emphasis on new technologies, the opportunities created by these technologies, and new business forms. 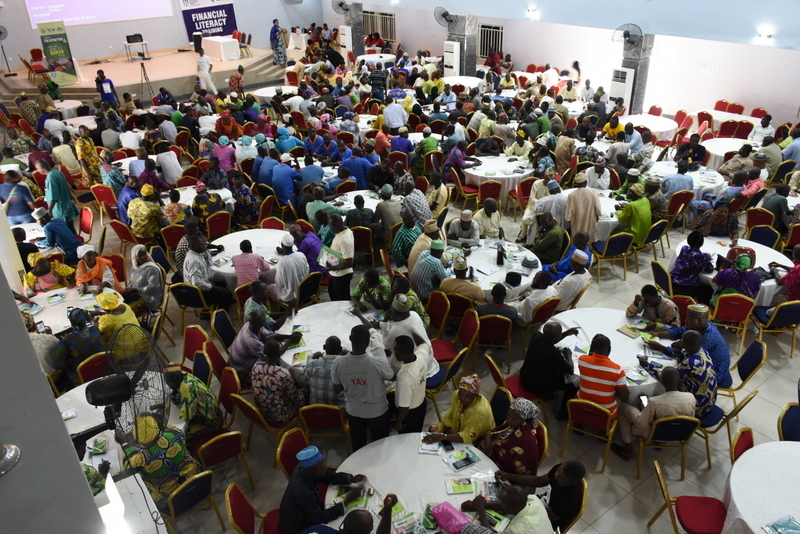 Digital entrepreneurship was the crux of discussion during the Ilorin Digital Summit at Mazabs event center, Tanke, Ilorin, Kwara State on 15th September, 2018. The program was designed to intimate youths on the importance Information Communication Technology (ICT) in marketing and to train participants on how to access information from the internet for more economic ally beneficial purposes. The guest speaker, the Executive Chairman of Kwara State Internal Revenue Service (KW-IRS) Dr Muritala Awodun urged participants to transform themselves as good resources that will grow the economy of Nigeria. According to him, technology can enhance creativity and youths should use technology applications to showcase their talents to the world. 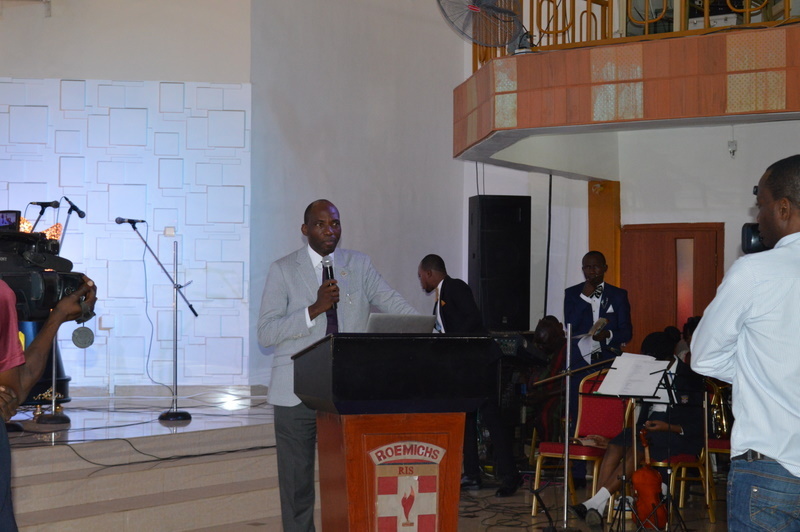 Dr Awodun advised youths to surf the internet for useful information rather than engaging in immoral or illegal uses such as internet fraud which is currently rampant among the youths. He added that youths must embrace entrepreneurship to ease the over-burden of white collar jobs. 2nd Tax Club Quiz Competition: KW-IRS Completes Project Of The Winners. 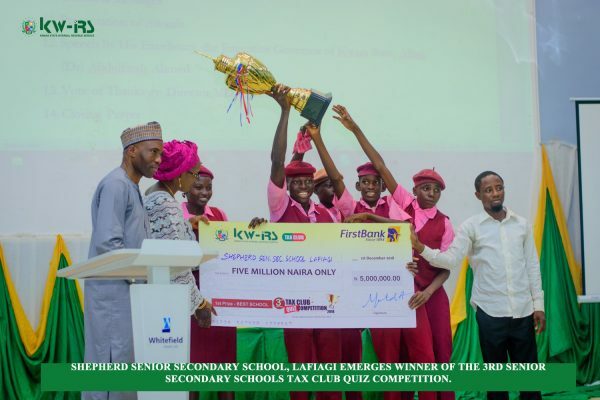 The Kwara State Internal Revenue Service (KW-IRS) has completed the projects for the second edition of KW-IRS Tax Club Quiz Competition projects won by Government Day Secondary School, Oko Erin (1st Position), Government Secondary School, Lafiagi (2nd Position) and Government Secondary School, Ilorin (3rd Position) in a sum of one Million Naira (N1,000,000), Five Hundred Thousand Naira (N500,000) and Two Hundred and Fifty Thousand Naira (N250,000) respectively have been completed. The financial rewards won by the students are often utilized to put in place physical projects that will be impactful on the school. The grand prize of One Million Naira was used to renovate a block of two classrooms for the winning school. The first runner up prize of N500, 000 was utilized for the renovation and provision of furniture and library furniture was the project of the 2nd runner up that won the sum of N250, 000. 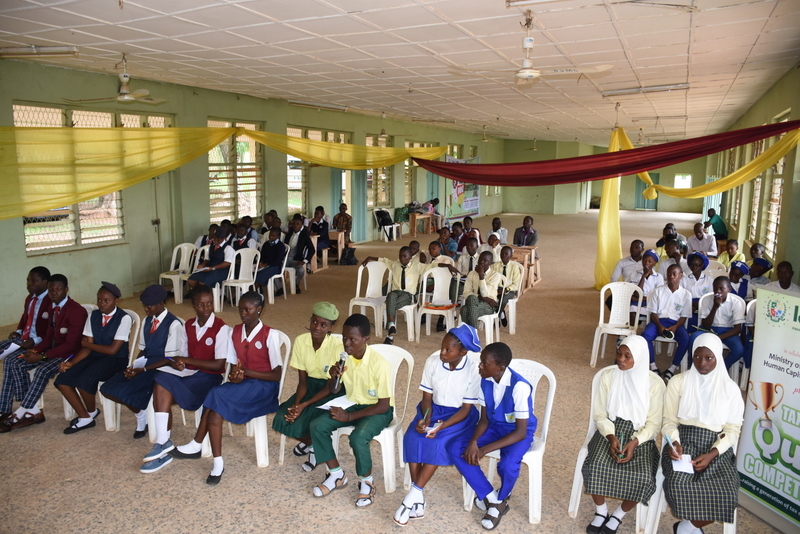 It will be recalled that the maiden edition of the tax club quiz competition among all secondary school in Kwara State started in 2016 and a grand prize of One Million Naira was won by Government Secondary School (GSS) Omu-Aran which was used to provide library furniture, while Government Girls Day Secondary School (GGDSS), Oko Erin and Iloffa Grammar School (IGS) emerged second and third with projects renovation of a block of two classroom and provision of conference table worth N500,000 and N250,000 respectively. The quarter final of the 3rd edition of the competition started today 24th and will end on 26th October, 2018 while semi final and the final will come up on the 1st of December 2018. The winner of the competition will be awarded with Five million Naira (N5,000,000) worth of project, 2nd and 3rd will win project worth Two Million Naira (N2,000,000) and One Million Naira (N1,000,000) respectively courtesy the Kwara State Government. 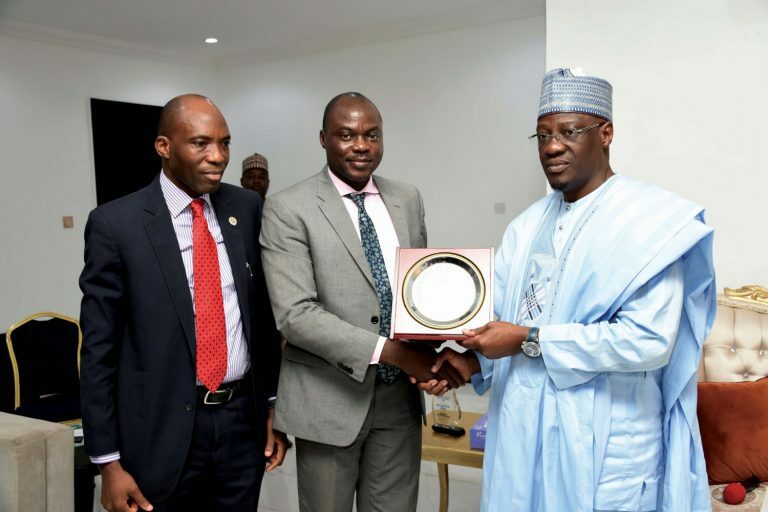 The performance of Kwara State Internal Revenue Service (KW-IRS) in mobilizing revenue for Kwara State has attracted recognition from the colloquium of entrepreneurs in Nigeria who converged in Lagos to honor the Service as the most Enterprising State Internal Revenue Agency in 2018 among its counterparts in revenue generation. The summit with the theme: Power Youth, Creating Wealth through Entrepreneurship organized by The Entrepreneurship and Empowerment Initiative of Nigeria (TEEIN) held on 1st October, 2018 at Radisson Blu Hotel, Lagos State. At the event, The Most Enterprising State IRS accolade was received by the head of Corporate Affairs, Mrs Habibah Aiyelabegan on behalf of the Service. In attendance was HRH Olugbo of Ugbo Kingdom Oba Fredrick Obateru Akinruntan, entrepreneurship scholar Dr Hakeem Ajonbadi (Higher Colleges of Technology, UAE, head of Corporate Affairs, Mrs Habibah Aiyelabegan, staff of Kwara State University, students and youths of Lagos. The Entrepreneurship and Empowerment Initiative of Nigeria (TEEIN) was established to champion youth entrepreneurship skill development, promote rural women empowerment, improve community health care delivery and support the entrepreneurial education of the Nigerian child. The fundamental questions we need to ask ourselves are: What do we value in terms of the skills and knowledge our students need to have when they leave school? What sort of citizens do we want them to be? And what sort of world do we want them to create in the future? The five-year-old boy or girl who started Kindergarten this year will be at University in 2030 and will spend most of their working lives in the second half of the 21st century.While it has always been the case that our schools hold the future within their classrooms, today’s education system needs to set the foundations for these young children to thrive in life and be able to work in 2050 and beyond.It is highly plausible that these young children will be living in a world radically altered from our own because of the pace of change fashioned by advancing technologies. Therefore, future thinking – and planning for the future – matters more now than ever before. 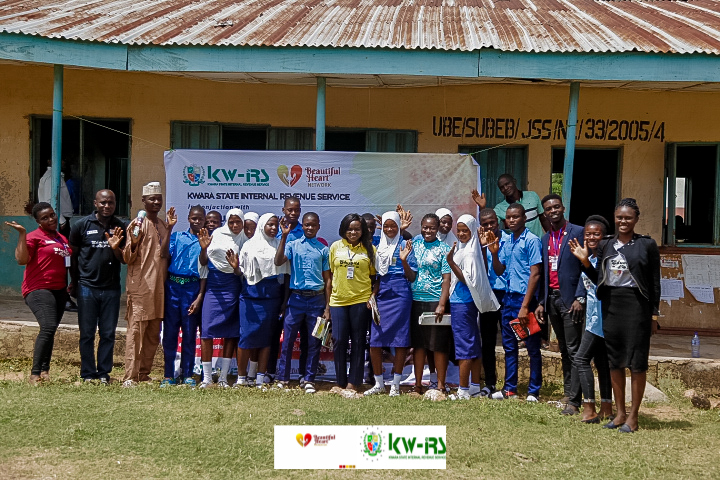 On this background, and as part of the Community Impact Program (CIP) of the Kwara State Internal Revenue Service (KW-IRS) to promote excellence in education, the Service in conjunction with Beautiful HeartsNetwork, a Non-Governmental Organisation, embarked on a life-changing project tagged, ‘EduChild’, supported by the Ministry of Education and Capital Development. This project is to inspire, educate and prepare students for a fulfilling future. The project started on the 26th of September, and it has been scheduled to cross across all the sixteen (16) Local Government Councils in Kwara State. In this first instance, sixty (60) Public Senior Secondary Schools would be visited in the first ten (10) weeks of the first term of 2018/2019 academic session in Kwara Central, Kwara South and Kwara North Senatorial Districts. The objectives of the projects are to serve as an all-round guild to young people in order to help them discover and develop their inner self that is lying quiescent; to raise young people as future leaders; to serve as a platform to inspire hope and shape the perspective of children towards a fulfilling career and professional journey, and also reaffirm the readiness and commitment of the state to grass-root development as far as education is concerned, among others. The programme facilitators would discuss Money culture, Peer and parental relationship, Career path and choice, Patriotism and moral value, Purposeful living, etc. S=Shape a vision of academic success based on high standards for all Secondary School students in Kwara State. H= Harness formal education with personal skill to create an atmosphere that is hospitable for safety, cooperative spirit and other foundations for prolific interaction. I=Improve relationships with parents and peers and equip students to combat peer pressure in order to create a society devoid of social vices like drug abuse, hooliganism, thuggery, sexual assault, cultism. R=Revamp personal skill and talent of Secondary School students for 21st century local and global challenges while recognizing opportunities for job creation and purposeful living. T= Train students to cultivate teamwork for excellent performance, integrity, ethical conduct, as well as loyalty and patriotism for their country and continent. privilege to discuss with EduChild facilitators about issues that bother them ranging from academic problems to relationship issues. Training sessions: This would focus on self-discovery, career path and choice, peer and parental relationship, patriotism, moral values, emotional and financial intelligence, purposeful living, values (responsibility, discipline, integrity etc.) etc. Gifts presentation to selected students: Bulletins and Entrepreneurship Textbook, ‘Entrepreneurship for Secondary School’ wouldbe given to all participating students. Apart from language which is a distinctive feature that distinguish human beings from animals, empathy and skill are something computers/ artificial intelligence will always struggle to emulate. Therefore, there is a need to discover the skills and talents embedded in Kwara State students in order to prepare them for a future where only those who can combine technology fluency with personal skill can survive.In an attempt to develop and train students for the future that lies ahead, it is therefore germane to avail Kwara State students this type of life-changing opportunity. 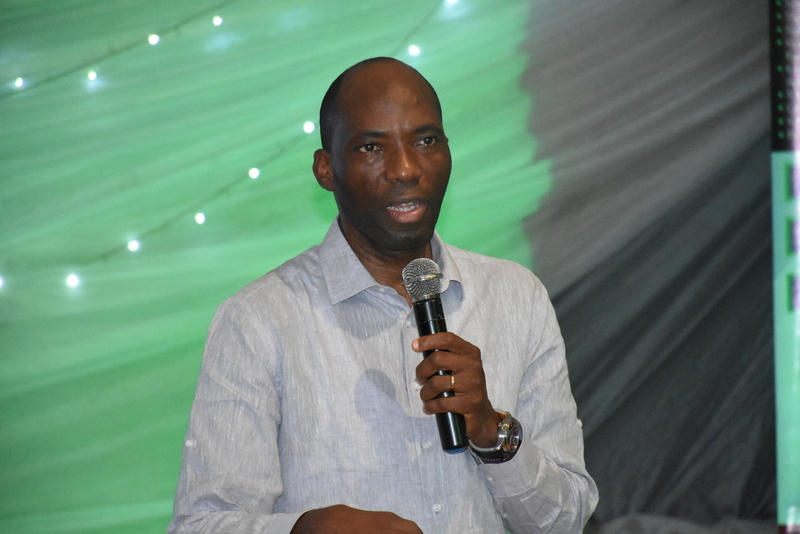 The Executive Chairman of the Kwara State Internal Revenue Service, (KW-IRS) Dr Muritala Awodun who was represented by the Director of Special Duties, Mr Segun Olaniyi has urged Kwara State Artisans Congress to be financially dependent and conscious in order to grow their business successively. This statement was made during the Financial Literacy Training organised by Enterprise Development Centre of Pan Atlantic University in partnership with Diamond Bank at Whitefield Hotel, Ilorin on 28th of August, 2018. At the event, one of the facilitators, Mrs Raliat Oyetunde a lecturer of Pan Atlantic University, Lagos State took the artisans on by creating a business plan, inventory management, and various E-payment channels. Mrs Oyetunde further emphasized that business owners should have a budget, keep up to date accounting record, learn and imbibe saving culture and avoid sales on credit. She added that they should always take daily stock of their products and laid emphasis on the need to open a bank account for transactions and savings for their future and that of their Children. The Pan Atlantic University team was led by their Director, Enterprise Development Centre of Pan African University, Mrs Nneka Okekear. Also present at the event were Chairman Artisan Congress, Mr Sa’ad Alawaye, Vice President1Artisan Congress, Mr Omoba Femi Adeleke, Secretary Artisan Congress, Mr Adeleke S.A, amongst others. 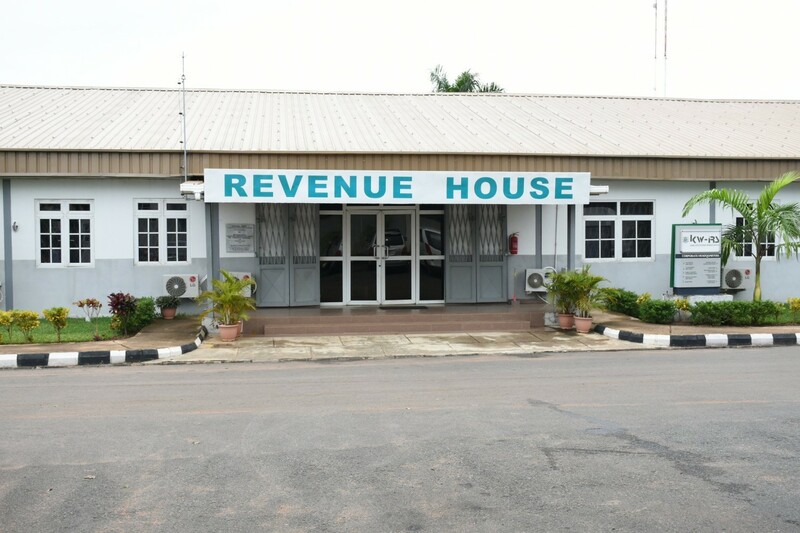 The transformation of Kwara State Board of Internal Revenue (KBIR) to Kwara State Internal Revenue Service (KW-IRS) as well as its achievements has continued to receive commendations from other State Revenue Services. The Osun Internal Revenue Service (OSIRS) on 27th August, 2018 visited Kwara State Revenue House to understudy its process. 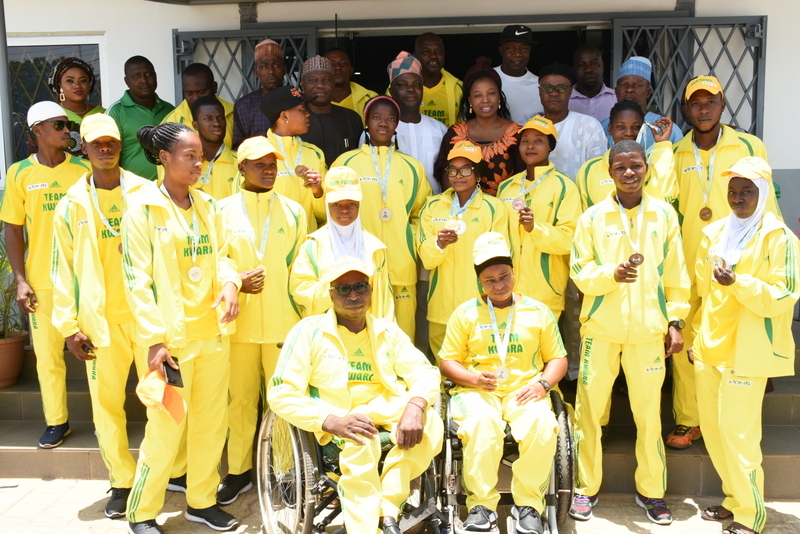 The team from OSIRS included the Board Secretary of Osun Internal Revenue Service (OSIRS) Mrs Oluwatosin Falomo, Esq and the Head of Information Technology, Mrs Mary Adeyemi. The Board Secretary commended the KW-IRS Executive Chairman, Dr Muritala Awodun for his efforts in improving the Internally Generated Revenue of Kwara State describing it as a model for other States. She said the overwhelming strides KW-IRS has recorded in revenue drive and the implementation of law and autonomy is the main factor that necessitated the visit to Kwara State. In his welcome address, the Director of Special Duties, Mr Segun Olaniyi appreciated the officials of Osun State Internal Revenue Service (OSIRS) for considering KW-IRS a model in revenue administration. He attributed the success of the Service to the Executive Chairman, Dr Muritala Awodun whose initiatives have made the Kwara revenue reforms attainable. After an intensive interaction session where experience was shared and ideas were borrowed and brainstormed, Mrs Oluwatosin Folomo appreciated the KW-IRS team. She stated every of the management she has had to engage have always been supportive. She expressed hope for continuous opportunity to drink from the fountain of KW-IRS knowledge and hoped to invite KW-IRS to witness the celebration when successes from the information shared are attained. 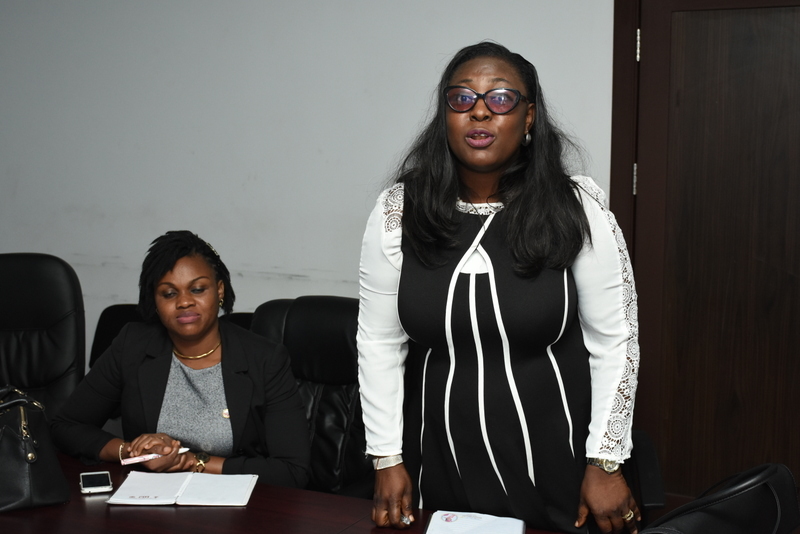 The study was attended by the Director of Admin and Operations Mrs Adenike Babajamu, Director of Special Duties, Mr Segun Olaniyi, Director Corporates, Alhaji Nuhu Olaide Muhammed, Deputy Director Internal Audit, Mrs Omolara Ojulari, Head of ICT, Mr Temi Kolawole and Head of Corporate Affairs, Mrs Habibah Aiyelabegan. Dr. Muritala Awodun was found worthy of the Nigerian Institute of Management (Chartered) Highest Distinction and Honour at the Institutes 2018 Awards, Fellows and Spouses’ Day Luncheon which was held at the City Hall, Catholic Mission Street Lagos Island on 16th August 2018. Congratulations to the Executive Chairman KW-IRS who joined the prestigious grade of Fellow after being found worthy of the institute’s Highest Distinction and Honour. 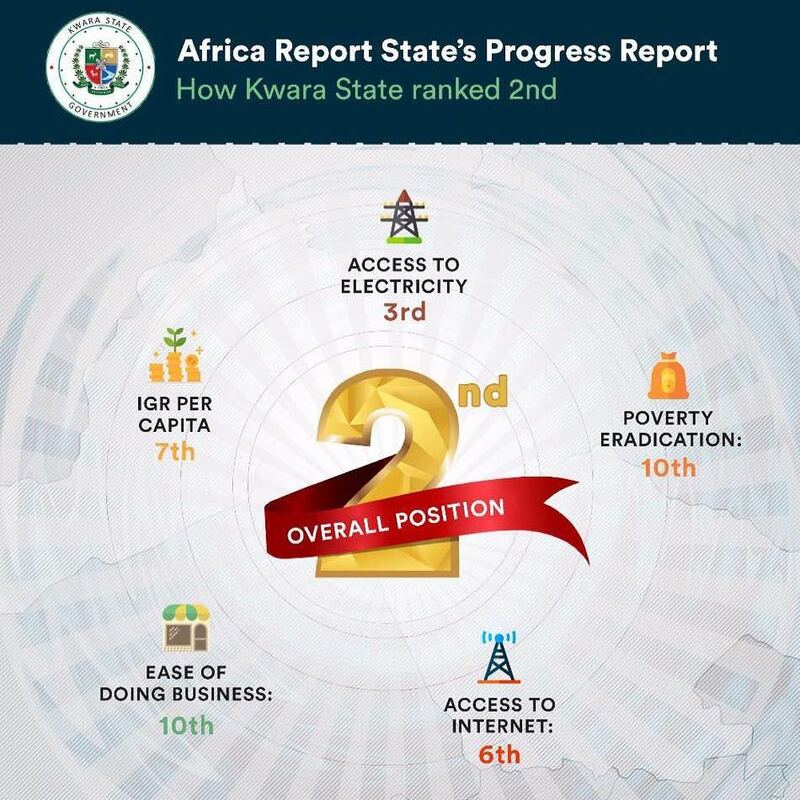 Kwara State has ranked second after Lagos in Nigeria in the latest Progress Report, titled ‘The State of the States’ released by Africa Report in its July/August, 2018 issue. The Africa Report is an international publication of reference dedicated to African affairs, and is the guide used by decision makers to anticipate economic and political changes in Africa. The publication is relied upon for the expertise of an independent editorial team in its surveys, sector reports and country focus published in each issue. According to information on the Africa Report www.theafricareport.com, the survey of Nigeria’s 36 states, used fighting poverty, providing access to electricity, facilitating business and raising local revenue as indices. In terms of Internally Generated Revenue (IGR) per capita, Kwara ranked seventh out of the 36 states of the federation. This rating is remarkable as Kwara in the past, rarely featured among states with high IGR. This feat was usually reserved for State like Lagos, Ogun, Rivers, Delta and Kano. KWIRS in its two years of operation successfully restructured the State’s revenue collection and administration by blocking revenue leakages and significantly shoring up the state’s IGR without imposing new taxes. In 2016, KWIRS generated a total of N17.4b IGR for the State, which is higher than the N7.2b the State realized in 2015. In 2017, the agency generated a total of N19.6b, recording a 13.82 per cent growth from the 2016 figures. While in the first four months of 2018, KWIRS generated N7.7 billion which marks a 70 per cent increase over that of 2017. IF-K is financed through an initial N5 billion seed fund, and a N500 million monthly contribution from the state’s Internally Generated Revenue (IGR). Since its establishment, the State government has released over N13 billion to contractors handling various road projects across the State. Given the above, it is therefore understandable why Africa Report will rank Kwara State second among the 36 states of the federation using Internally Generated Revenue (IGR) as one of the indices. The summation of the indices put Kwara at second position in the progress report. The full report can be found on pages 22 to 26 of the July/August, 2018 edition of the Africa Report. Responding to the report, Kwara State Governor, Alhaji Abdulfatah Ahmed described Africa Reports’ ranking of the state as the second highest in the country an affirmation of his administration’s reform programs and an acknowledgement of its efforts to enhance the welfare, security and prosperity of all citizens and residents. He pledged his preparedness to sustain the administration’s ongoing drive to build a prosperous and sustainable Kwara State for the benefit of current and future generations of Kwarans. As part of activities marking 2018 International Youth Day, the Executive Chairman of Kwara State Internal Revenue Service (KW-IRS) Dr Muritala Awodun, has charged Nigeria youths to build an innovative capacity in approaching issues or challenges in their immediate environment rather than being creative. He made this statement during an event organized by the Kwara State Government tagged “Inspiring Innovative Thinking towards Self Reliance, Economic Growth and Sustainable Development” at the Kwara State Banquet Hall, Ilorin on Sunday, 12th August 2018. In his introductory remarks, Dr Muritala Awodun said everybody has the capacity to be creative because they can see something wrong and are willing to proffer solutions to it. He posited that youths in Nigeria today underutilizing their capacity for innovative thinking which is one of the banes of national development. He added that for someone to be attributed as innovative, such individual must have the ability to act on the identified problems and actualize it without hesitation. 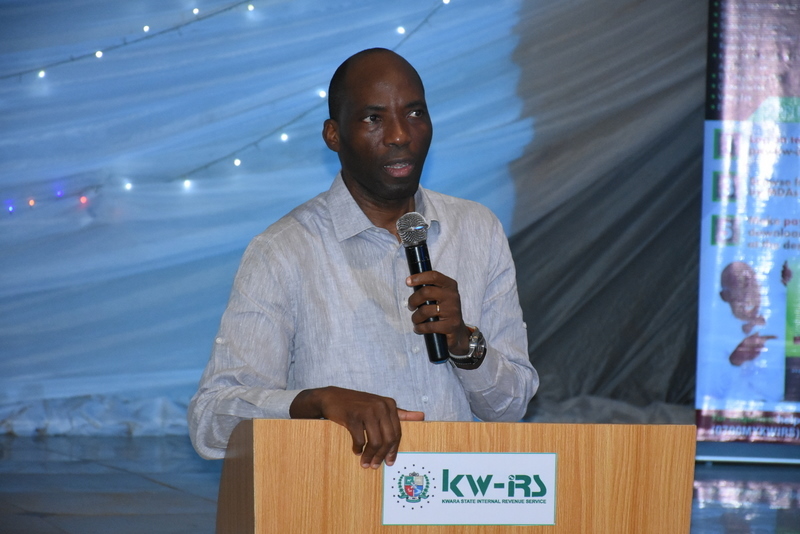 The KW-IRS Executive Chairman gave an address on the restructured Internal Revenue Service as an approach of discussing the theme of the event in relation to its effect on infrastructural development and youth empowerment in Kwara State. He eulogized the courage of the Executive Governor of Kwara state, Dr Abdulfatah Ahmed for establishing Kwara State Internal Revenue Service (KW-IRS) despite the economic woes faced by Nigeria. “The transformation of the revenue administration in Kwara state was as a result of innovative thinking of the Executive Governor, Dr Abdulfatah Ahmed who noticed the infrastructure gap of N250 billion and took a giant step by revamping the revenue collection process through signing into law the Kwara State Revenue Administration Bill and the Kwara Public Private Partnership Bureau Bill of 2015” Dr Awodun said. He explained that the restructuring of the revenue service had provided about 700 direct jobs, 2,000 indirect jobs for revenue mobilization and 85 consultants who also have engaged staff to carryout legitimate duties which was as a result of innovative thinking. In his speech, the Executive Governor of Kwara State, Dr Abdulfatah Ahmed said under the Kwara Youth Empowerment Program (KWAYEP) program, youths are deployed to various Ministries, Departments and Agencies and private agencies related to their academic background and given hands-on training over a specified period of time. The aim, he said was to provide youths with necessary skills to ensure they are able to compete with their counterparts all over the world. While noting that youths make up about seventy per cent the country’s total population, Governor Ahmed opined that such population can be the tool for social and economic transformation with the right investment. He assured Kwarans that the State Government will continue to provide an enabling environment for our youths to contribute to the socio-economic development of State. The Senior Special Assistant to the Governor on Youth Empowerment, Alhaji Saka Babatunde advised youths to look beyond engaging in solely public services, but to be creative and be self reliant. He commended Governor Abdulfatah Ahmed for taking youth development as priority. This year’s International Youth Day celebration held in Kwara which was marked global scale on the featured workshop, performances, lectures and exhibition of various products that were made in Kwara. The Preliminary Stage of The Annual Tax Club Quiz Competition (TCQC) organized by the Kwara State Internal Revenue Service (KW-IRS) in collaboration with the Ministry of Education and Human Capital Development ended in a grand style. Out of one hundred and twenty-eight (128)Senior Secondary Schools (private and public schools) that participated across the three senatorial districts, forty-six schoolsmade it to the quarter final of the competition. At the Preliminary Stage, Muslim Model Secondary School amassed the total score of forty-two (42) points, which is the highest score at the preliminary stage from Kwara central, followed by Offa Grammar School with 41 points and Shepherd Grammar School had 32 points from Kwara North Senatorial District. The Executive Chairman of Kwara State Internal Revenue Service (KW-IRS), DrMuritala Awodun paid a surprise visit on the final day of the Preliminary Stage heldon the 19th July, 2018 at Bishop Smith Memorial School, Ilorin. While addressing the contestants, he appreciated all the schools that participated in the competition and urged them to continue with tax sensitization in their various schools. Dr Awodun stated that “Atthe end of the day, we are going to have a total number of 46 schools qualifying from all the three Senatorial Districts in Kwara State to the second round of the competition”. Statistically, a total number of 15, 14 and 17 schools qualified from Kwara South, North and Central respectively. The EC expounded on why there is uneven representations from all the Senatorial Districts – “You might be wondering why we have seventeen (17) slots for Kwara Central, this is because we have more schools and leagues in the Central than other Senatorial Districts in the state. In this competition, everybody is a winner because the essence of this competition is learn about tax and to be aware of the subject of taxation in Nigeria”Also, the EC urged every participant to spearhead Tax Clubs activities at their various schools. The Executive Chairman asserted that additional tax club activities would be introduced in the budget of the Service in subsequent years starting from next year. The said the decision wasto ensure that tax club is not just for the competition but also for tax education and awareness, which will be achieved through various tax conferences, competitions, seminars and workshops across the sixteen Local Government Areas in Kwara State. 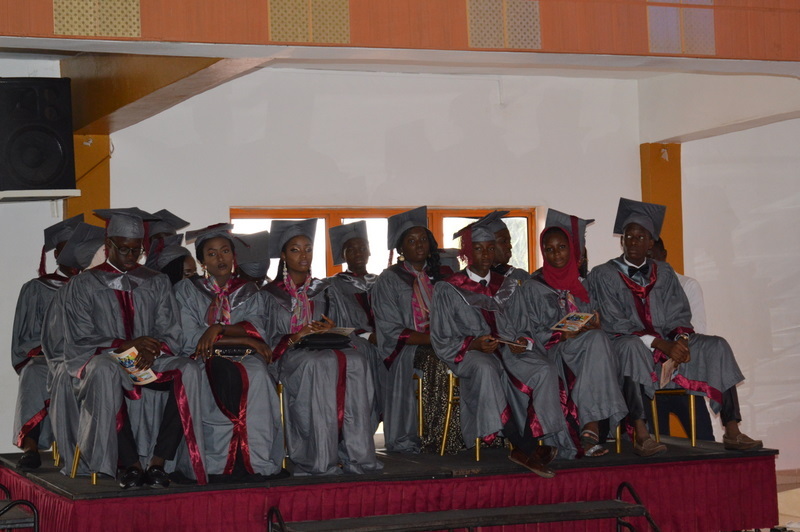 With a passion to impact young people all over the world on creativity and innovation, the Executive Chairman, Kwara State Internal Revenue Service (KW-IRS), Dr Muritala Awodun gave a lecture to the 2018 Graduating Students of Roemichs International Schools on the theme: Acquiring wisdom is a moral duty not only an intention to advance one’s life on 12 July, 2018. 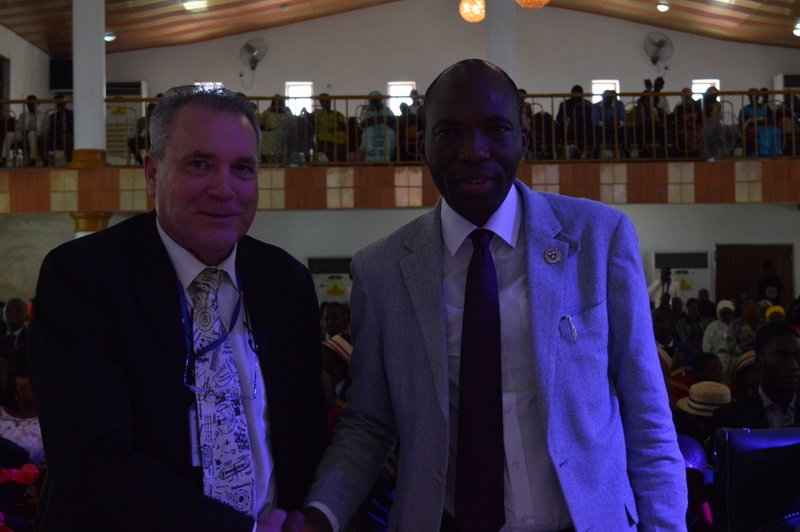 Dr Awodun explained that knowledge is relevant fact, skill and understanding brought to bear on a creative effort. He noted that the world is full of problems and the quest for knowledge has become the most sought after thing in life today. He emphasized that knowledge imbibed on in schools is not enough and we all must search for wisdom which is not negotiable if one must succeed. He made a biblical reference to King Solomon who asked God for knowledge and wisdom because knowledge will not solve problem on its own. Dr Awodun emphasized that wisdom is the appropriate and right application of knowledge, thus knowledge and wisdom can be likened to creativity and innovation. He advised the new graduates to apply wisdom in their future endeavours as knowledge not appropriately applied is meaningless just like creativity not transformed to innovation is valueless. He however highlighted on the importance of applying wisdom with knowledge to become successful in life. He capped it all saying that acquiring wisdom is a moral responsibility and not a mere intention to advance our life’s as we have been made to believe. 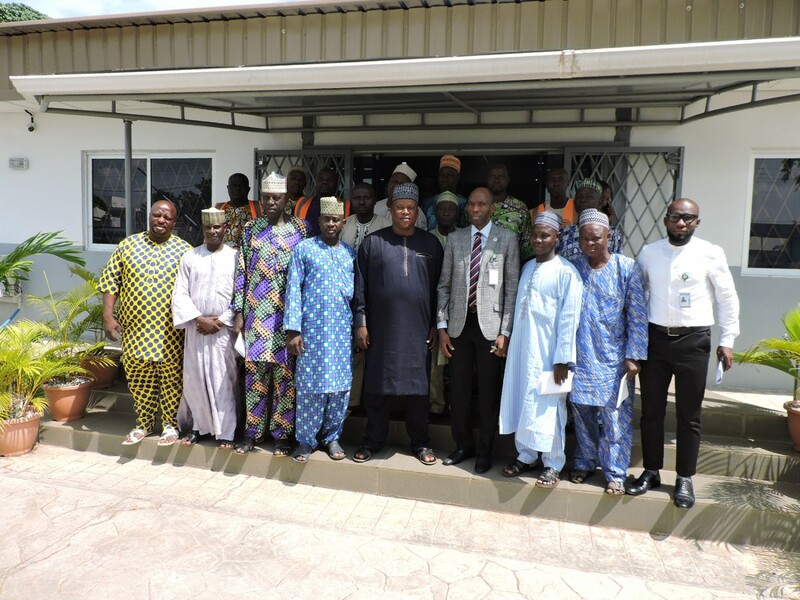 The Newly Elected Executives of Road Transport Employers’ Association of Nigeria (RTEAN) led by Alhaji Abdulrahman Onikijipa today visited the Kwara State Internal Revenue Service (KW-IRS) to acquaint the Service of the newest development in the Association and how to strengthen their partnership in revenue mobilization. In his welcome address, the Executive Chairman of Kwara State Internal Revenue Service (KW-IRS), Dr Muritala Awodun congratulated the new executives for their readiness to serve, and assured the association that the Service is committed to partner with any organized association to harness more revenue for the strategic development of Kwara State. 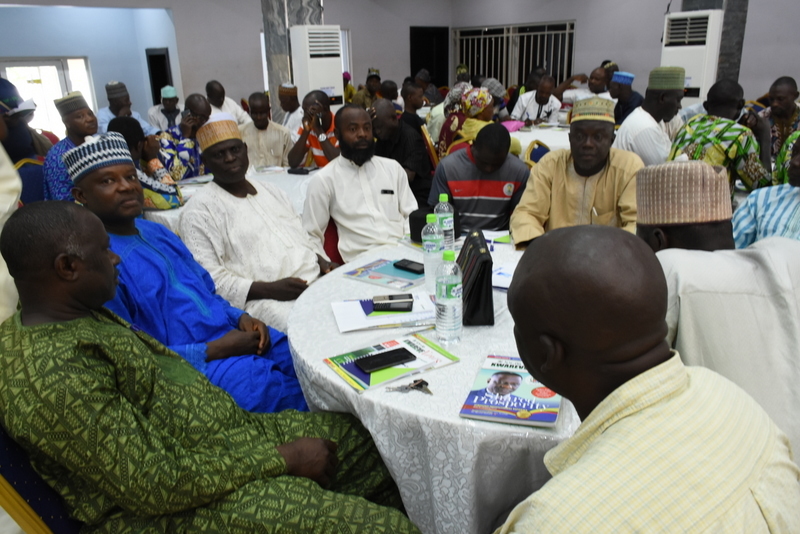 Dr Awodun urged the association to obtain the Kwara Residents Identification Number (KRIN), and also to make the information of their members available for government to make adequate planning and provision for the association and Kwarans. He implored the new executives to maintain the good relationship the Service had with the former executives. Earlier, the new RTEAN State Chairman, Alhaji Abdulrahman Onikijipa, in his speech commended the Service for making life better through various Community Impact Programs (CIP) embarked upon across the State. He assured the management of KW-IRS of full compliance in tax payment and renewal of vehicle licenses as and when due.